Bullying is unfortunately the essential element of kids’ lives and there isn’t much we can do to avoid it. With increased exposure and redefined dimensions of friendship amongst kids, bullying has acquired many forms. To be able to make your child stronger and well-equipped to deal with bullying, you need to know the different forms of bullying that your kid is exposed to. 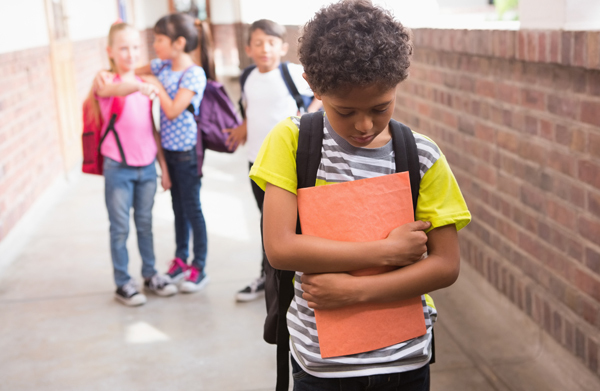 In this form of bullying, although the kid being bullied is not physically hurt, but verbal bullying can cause serious mental and emotional damage that can cause life-long personality defects. Verbal bullying includes use of cruel language, calling names, verbal threatening, intolerant comments about one’s physical appearance, religion, disability, family attributes, etc. If your child is confident and positive, teasing or verbal bullying will not affect her much. Be there to talk to the kid when you see her mood swings, or see her tensed for a continued period of time. If she confesses of being a victim, talk her out of it, counsel her. Do not intervene directly until it’s very serious and absolutely necessary to do so. Give your kid the wisdom, serenity and strength to deal with verbal bullying herself. This will be a great life lesson that will come in handy throughout her life. This form of bullying involves physical hurt or intimidation. This can include various forms of physical abuse like hitting, pushing, physical torture or inappropriate touch. Physical bullying can be pretty traumatic for the child and in many instances kids do not tell their parents. Do look for signs of physical hurt, injury or molestation marks. If you do find signs of physical bullying, do not get emotional and take matters in your own hand. Involve the right authorities like school teacher or sports club coach and manager. Cyber bullying is getting a bigger threat by the day. Children are vulnerable to false rumors, tainted images, hostile remarks, mean comments spread across social media groups or cyber stalking. You need establish safe-technology usage rules for your kids. Establish age-appropriate on-line time limits. Tell your kids about cyberbullying so that they are aware and alert. Also, tell your kids to approach you if they become victims of cyberbullying. More than discipline, self-discipline will be one of the most essential life skills that your little athlete will learn. Making a routine and following it, preparation, practice, managing one’s own conduct, keeping stuff organized and thinking for oneself are some great skills that will help your child sort her adult life as well. There’s so much competition, negotiating your position in the team, handling team pressure, managing your way through obstacles and so much more is involved in a game that refines personality to make a sorted, achiever who doesn’t let anything come in the way of what she wants. Sports people get used to making instant decisions. They have to make on-spot choices on the field that would make or break the game and more importantly, bear the consequences of their choices. This eliminates lethargy, procrastination and brings sharpness, agility and the quality of judging consequences of actions. Whatever your child does in life, the ability to perform in a team and make contribution towards victory of the team will be perhaps the most important skills. Sports also teaches the sensitivity and sensibility of understanding being considerate to problems others might be facing or concerns they might be having. Your child will learn to help which is one of the most vital of human skills. And the most important skill that youth sports will teach your child is positivity in all aspects of life. Does your teen talk back, yell, scream or even get physically violent at times? 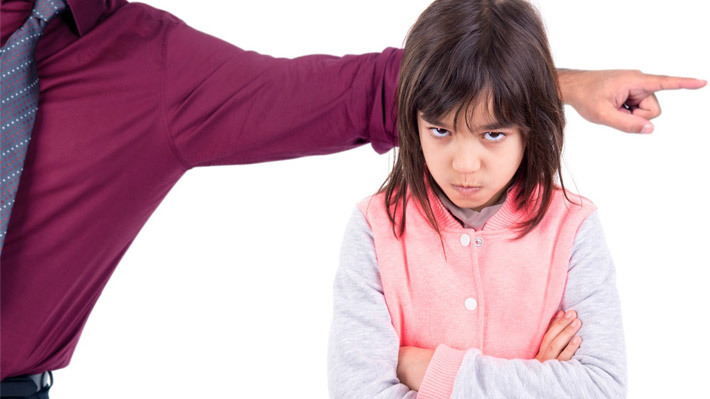 Does your tween often throw tantrums, behave inappropriately or answer rudely when spoken to? Has your child’s conduct started hampering her social life? Unfortunately, this is a common problem that a lot of parents face. Most parents accept it as a compulsive phase that kids go through during adolescence, or as natural trait of boldness or confidence that comes innately with younger generation. But if you see symptoms of aggression in your child, do not ignore it. It’s a problem that needs to be addressed to, as and when it occurs. If a child is aggressive and disrespectful, chances are that this trait will only get worse with time. Your child’s aggression is symptom of a problem and not the actual problem itself. Hence the first step towards dealing with your child’s extreme behavior is understanding the problem that might be causing it. Is there something at home that’s bothering your child? Is there a dominant spouse situation or insecurity that’s bothering her? Is she being bullied in school? Is she under peer pressure? Does she have inferiority complex? There can be so many other possibilities. Instead of assuming and thinking that you know the problem, observe and investigate to find out the exact root cause. Do not rule out the possibility of medical or sensory problems that might case aggression. Get your child tested. Once you’ve established the reason, and while you start working on the cause of the problem, you will still have to deal with the kid’s anger. Here’s what you can do on a regular basis to curb aggression and bouts of anger in your child. Give attention. Many a times the child might be feeling ignored, and many a times not. In either of the cases, spending some quality time with the kid would help. Kids tend to get insecure in stress situations, and some warm parent-child time would ease out a lot of creases in her life. Although, you will have to judge, how and when would the kid needs that sort of attention. Don’t force yourself on her, that’ll just worsen your kid’s situation. Work with your child to nailing the problem. Don’t try and manage the problem all on your own, involve your child. Let her know that you are genuinely working towards understanding what’s bothering her. When your child is ready to trust you, she will slowly open up. Let her get to the comfort zone. Do not combat anger with anger. When the kid’s in a moment of rage, do not try and control it with shouting, yelling or hitting the child. you would not only aggravate the situation but also set a wrong example. Understand triggers and work on them. Find out what triggers anger in the kid. For instance, Sara gets really angry when she’s mocked upon. Even though, Sara’s mom cannot control the outside environment, she has asked Sara to ignore when someone says something rude, look in the other direction and count until ten before reacting. This settles the immediate outburst and allows Sara for some cool-down time. Similarly, you will have to understand what is triggering the aggression and find a way that works best for your kid. You will have to do this with your child’s help. Does Your Kid Care Too Much or Just Doesn’t Care…? If you are a parent reading this, remember how easy the world was when we were kids? We could ride bikes in the neighborhood unsupervised, we could climb trees, we could play the whole day without a care in the world; we could be kids. But today’s world is different and these are tough times for kids. There’s too much of pressure on kids, performance pressure, peer pressure, harassment & bullying, cyber bullying, drugs, fear, social media compulsion, and so much more. It’s actually painful to see little children suffer from acute stress, depression, anxiety and severe emotional and psychological problems. That said, there’s a whole different world on the other end of the spectrum. There’s so much to do, so many career options to choose from, and so much of information available that kids can actually choose to live their passion. Those are two ends, far apart. 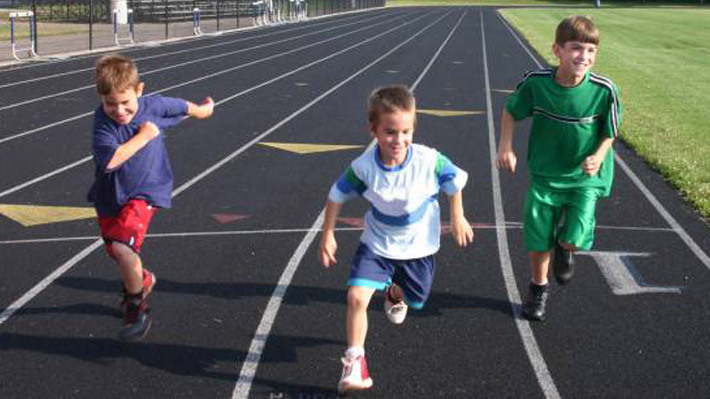 Average kid is usually somewhere in the center, drifting from one end to the other and back. Parents get anxious when they see their child on either edge, and rightly so. If the kid is too sensitive or anxious, there are chances of the psychological or emotional condition affecting the overallpersonality of the child, and on the other end, if the child is too blithe, chances are she might get too carefree to get a real career that can financially support her in living a fulfilling life. The situation is real complicated and parents’ anxiety is justified as well, but the way most parents try and deal with it, isn’t. Most parents feel that to discipline their child or to make their kid care, they need to compel or constraint the kid. But actually, that does quite the opposite. Kids cannot be coerced to care or become carefree for that matter. Instead of trying to get into your child’s shoes and trying to see things from their perspective (because in reality that hardly happens), it is essential that you clearly demark your child’s life from your own. You need to clearly define what are your child’s goals (and not your goals) and what are your child’s responsibilities (and what are yours). This will sort a lot of confusion for both you and your child. Some parents feel morally obligated to advise their children. Parents should instead talk to kids rather than lecturing them because that is mostly where they lose them. If you want your child to be friendly and reasonable with you, you’ll have to be the same too. Talk, listen, laugh, share some real moments with your kid and it’ll change the relation the two of you have. Lastly, but most importantly, if you want your child to act in a certain way, set the right example. Be inspiring and influencing for the right things. Most of the times we ignore our behavior and try and correct the same things in our children. We don’t realize where they are coming from. When you are anxious or stressed about something your child has done wrong or differently as you thought she should have, how do you react? Do you nag, compel, push, punish or yell at the child? When your child is not doing something you want her to, what do you do? Do you cajole, insist, beg, bribe, yell, threaten to punish, motivate or give up on the kid? Do you have loud discussions with your spouse in front of the kid regarding the way the kid is growing up or regarding her flaws? Is the kid often the topic of the fights?